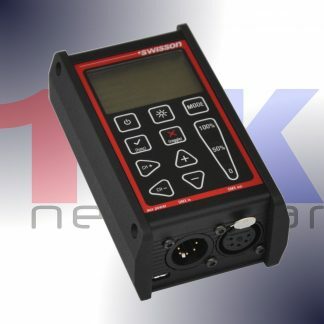 The SWISSON XMT-120A is a compact and modern DMX tester. 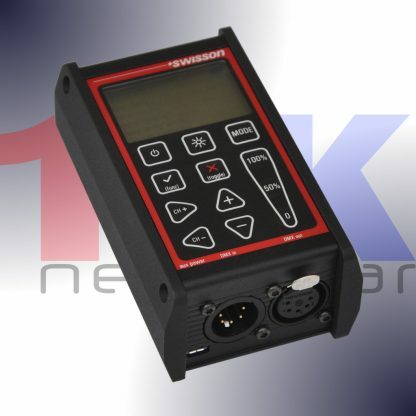 The SWISSON XMT-120A is the new generation of powerful DMX512 measurement and test equipment for architecture, entertainment, film and TV lighting and installations using DMX512. The versatile functions of the XMT-120A simplify the debugging of lighting and installations, or any application where DMX is used to control lighting. The unit can monitor DMX512 signals as well as analyze and display them. 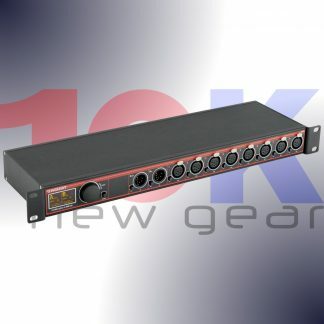 The device can also generate DMX512 signal and supports the control of more complex DMX512 fixtures such as moving lights. The testing of RGB LED lighting with many channels is easy to do with the XMT-120A. 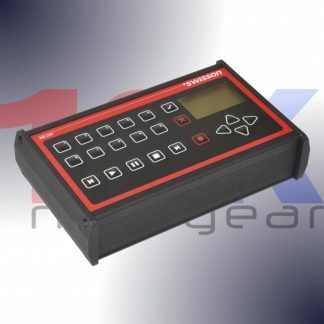 With additional features such as cable tester, timing analysis, sequence editor, channel “tracer”, dip-switch display, flicker finder, and Min / Max display this device is ideal for troubleshooting and resolving DMX512 signal challenges and yet remains very simple to operate. 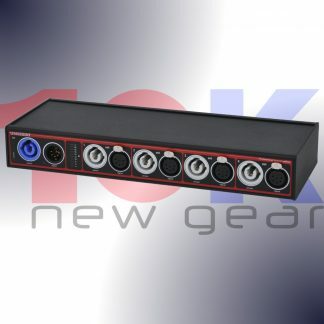 The XMT120A can be connected via USB to a PC. The Windows software allows for managing the fixture library for intelligent devices and uploading firmware updates.